Bringing you the campus, the city, and the world. 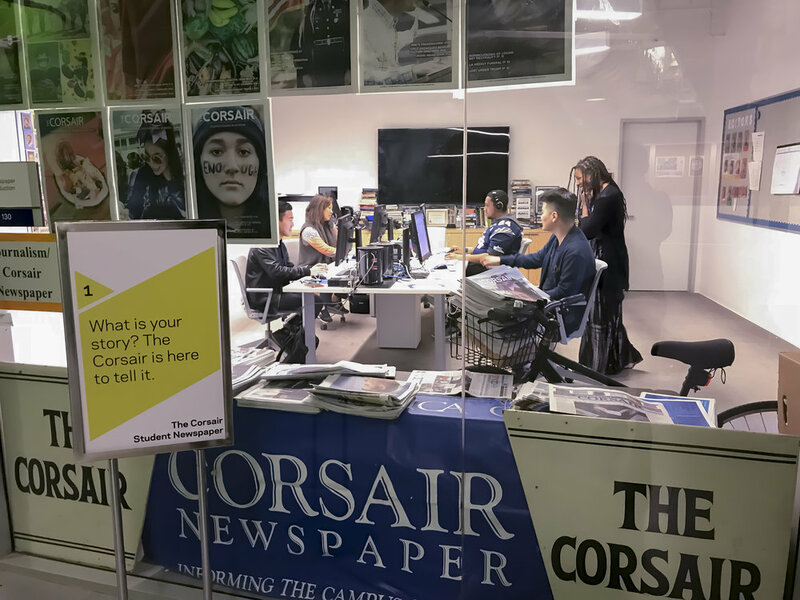 The Corsair is a media company brought to you by the students of Santa Monica College and guided by advisers Ashanti Blaize-Hopkins and Gerard Burkhart. It’s by students, for students, and, largely, about students. We’re passionate about highlighting the stories happening at SMC and throughout the Corsair community everyday. We share with you stories about students, faculty, and the inner-workings of the school. Whether you know it or not, the community we have here at SMC is thriving, intricate, and full of fascinating stories. We have over 30,000 students, and each of them has had a unique path to get here, and will have a unique journey from here on. The Corsair is here to remind you of that. You can find our print issue every other Wednesday throughout the Fall and Spring semesters. You can read the stories from our print issue, as well as a variety of other coverage, here. You can come by CMD 130 if you want to join the team, voice a concern, question, or comment, or just have a conversation with the friendly members of our staff. The Corsair promises to bring you an honest perspective on the things happening at your school, as well as insightful entertainment. Thank you for reading.